Julie Staller | Pentelnik | Zimmerman Editions, Ltd.
Julie Staller-Pentelnik believes that Judaic Art should be both meaningful and dynamic; enhancing Jewish life, traditions and life cycle events – preserving Judaism’s rich heritage for the future. 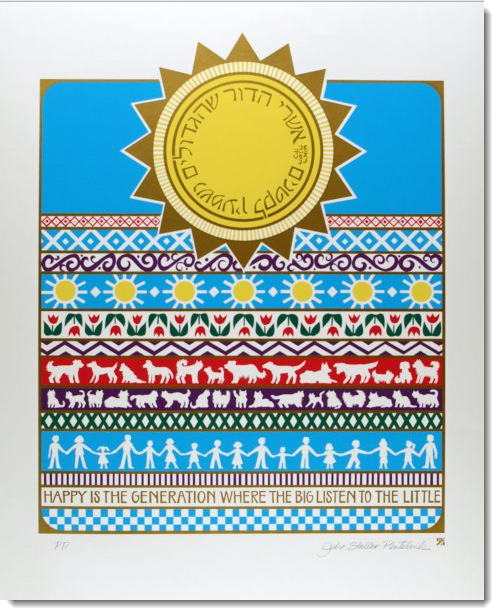 She has produced a wide range of Jewish art, including a fine art serigraph printed by Zimmerman Editions. As her family has moved around the world, her business has expanded. Julie’s art is internationally recognized. Julie combines brilliant, full-color paintings with calligraphy to create vivid and dynamic works of Judaic art.